In partnership with Capcom, Laced Records has announced that the soundtracks of both Resident Evil and Resident Evil 2 will each have a remastered, deluxe, double vinyl release. Fans can choose the Limited Edition or standard versions. The price is the same across the board ($35) but the difference is in the unique marble colorway the Limited Editions offer. The Resident Evil soundtrack features 44 tracks from the 2002 Gamecube release’s soundtrack. The limited edition vinyl comes in a deep, frigid, blue with black smokey marble detailing. For its cover, you’ll get a haunting profile of a zombie with completely white eyes and the bottom half of its face missing all its skin. The Resident Evil 2 soundtrack features 31 tracks from the original 1998 game soundtrack. This limited edition arrives in a rich, blood red color with the same black smokey marble detailing as the first game’s vinyl. The cover art enhances the established color pattern by having the exposed brain of a bright red licker take up the entire front side. Rather than just be labeled A, B, C, and D, these vinyl records have the phrase “ink ribbon” in the middle. It’s a cute callback to the original way to save the game before it was streamlined. Standard editions of both these collections are the same except the records themselves are just black. All collections are housed in striking gatefold sleeves. You can preorder the Resident Evil Deluxe Double Vinyl Limited Edition here or standard edition here. 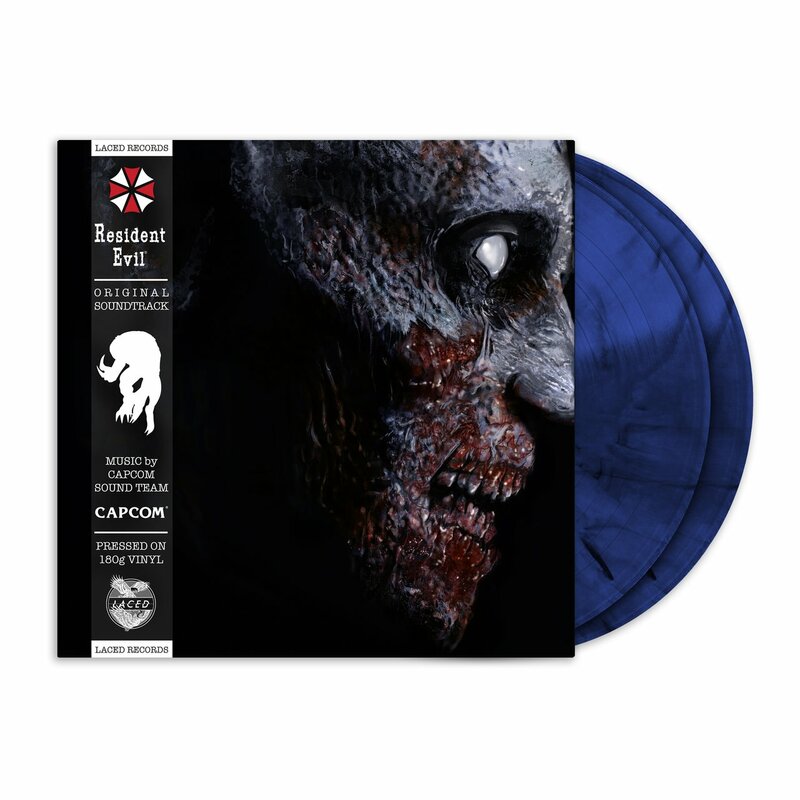 And you can preorder the Resident Evil 2 Deluxe Double Vinyl Limited Edition here or standard edition here.